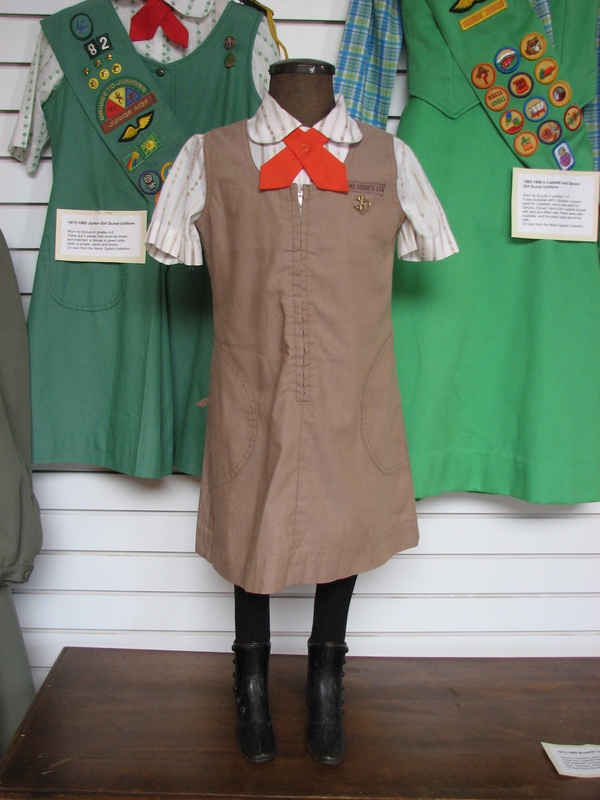 Brownie Uniform made between 1973-1985. This uniform was worn by Brownie Girl Scouts – girls in first through third grade. There are 5 pieces that could be mixed and matched: a blouse or orange turtle neck, a jumper, pants and shorts. The jumper and blouse are shown here along with the official orange tie and Brownie pin. 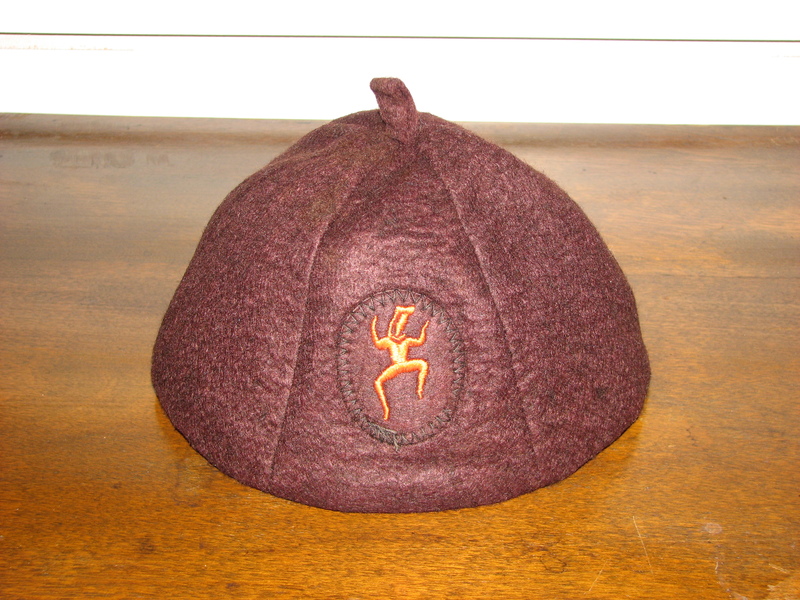 The official hat was a brown felt beanie with an orange brownie symbol embroidered on the front. This entry was posted in Collection Notes, Museum updates and tagged 100th anniversary, 1970s, 1980s, Brownie-girl-scouts, Girl Scout, Girl Scout Uniforms, Glenwood Girl Scouts, Pope County Museum, Vintage Girl Scout Uniform. Bookmark the permalink. I have a vintage Girl Scout and a Brownie uniform ( circa 1950’s ) that I would like to find a home for. If any one is interested in them please let me know. Is it from the Pope County area? We also had orange sock garters in this time period. They are missing.